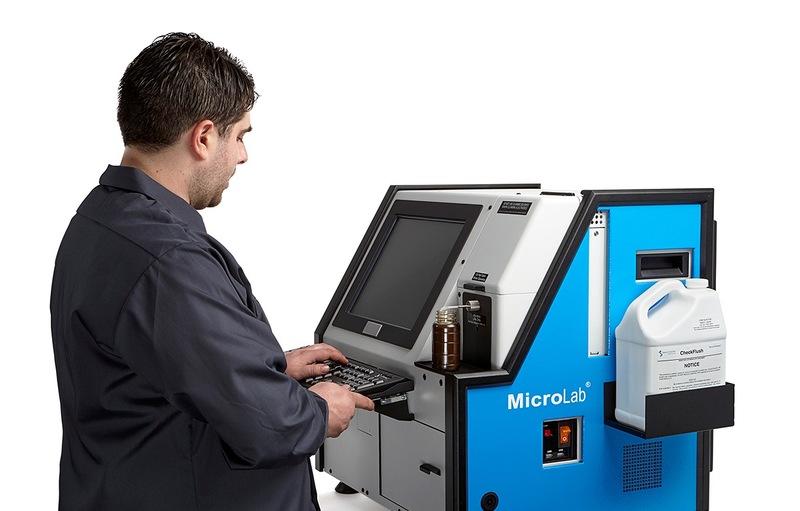 The MicroLab® automated analyzer series provides complete oil analysis testing including chemistry, kinematic viscosity and concentration of up to 20 wear, additive and contamination elements, in addition to an optional particle counter. Version 11 software brings improved performance through new signal processing methods and features that provide additional capabilities and flexibility. The upgraded user interface permits input of external data to produce consolidated fluid analysis reports that include several parameters for oil and equipment condition not previously available in the MicroLab test suite. The software update presents a new, easy to read report format which includes additional historical trending data. The four automated MicroLab tests provide a complete look at equipment and oil condition. The MicroLab infrared spectrometer measures six key parameters which indicate potential oil degradation and contamination. The MicroLab Dual Temperature Viscometer (DTV) provides kinematic viscosity analysis which can identify potential oil degradation or contamination. 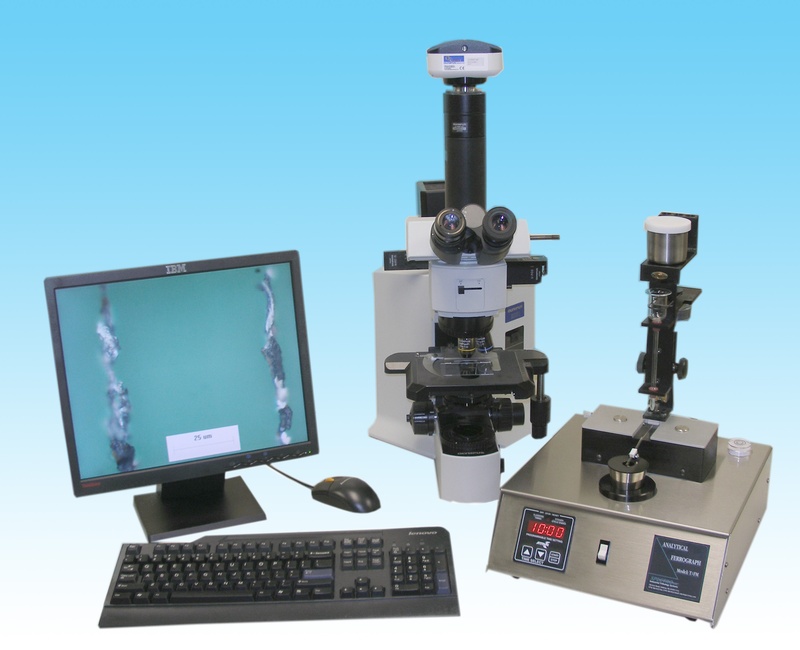 The MicroLab Optical Emission Spectrometer quantifies wear metals caused from mechanical components, as well as other elements from oil additives and contamination. The MicroLab 40 is equipped with a particle counter to measure particle contamination which is crucial for maintaining hydraulic systems, compressors and turbines. In addition to these changes we are happy to offer the new MicroLab companion kits. The MicroLab Companion Kits provides customers a complete fluid analysis package to meet the needs for their equipment in a convenient packaged offer. The MicroLab can also accept data from the FerroCheck and Fuel Dilution Meter for a comprehensive report. All MicroLab Companion Kits come with a 5 year subscription to LubeTrak data management system. We are pleased to introduce an upgrade to the FieldLab 58 consisting of a more powerful X-ray fluorescence (XRF) module and newly designed filter that significantly improve the limits of detection for wear metal elements in oil. The FieldLab 58 has also earned a U.S. patent for its innovative and convenient combination of a variety of analytical technologies. In addition, the system’s coupling of X-ray fluorescence and filter particle quantifier testing meets the new ASTM International Standard D8127“Standard Test Method for Coupled Particulate and Elemental Analysis using X-ray Fluorescence (XRF) for In-Service Lubricants”. FieldLab 58 is a battery-powered, integrated oil analysis system that provides quick and comprehensive oil analysis in the field. 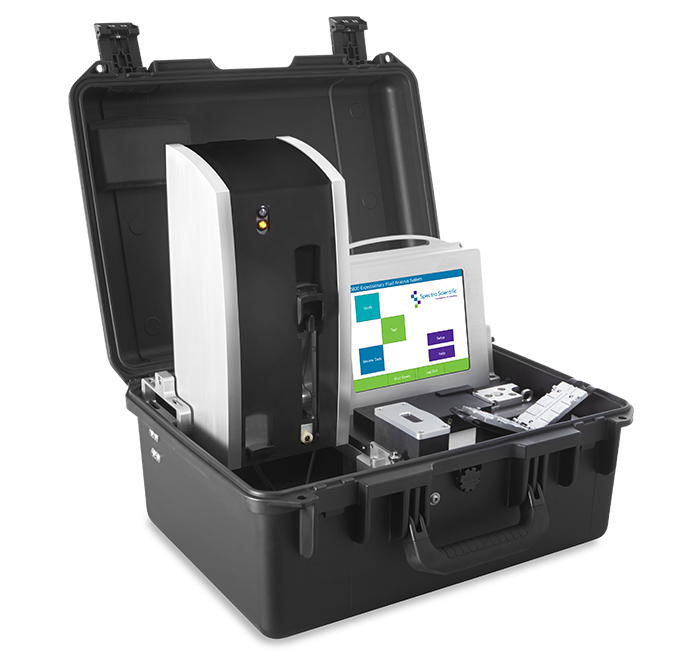 Packaged within a small, portable case, the analyzer integrates four analytical technologies: X-ray fluorescence (XRF) for elemental analysis; a filter particle qualifier (FPQ) pore blockage particle counter; an infrared (IR) spectrometer; and a kinematic viscometer (40˚C). The upgrade to the FieldLab 58 includes a new XRF engine that is four times more powerful than the previous generation. Coupled with a newly designed filter, the analyzer provides improved sensitivity of wear metal particles in oil (on average over four times more sensitive) for all the 13 elements it can detect. The FieldLab 58 earned U.S. Patent 9,791,386 B2, for an “Integrated, Portable Sample Analysis System and Method”. The patent describes the physical configuration and operational details of the analyzer and notes that before this invention no portable device had replicated the analysis capability of a tribology laboratory. With its quartet of analytical technologies, FieldLab 58 provides immediate, comprehensive in-service analysis of lubricating fluids. The unit’s portability and convenience eliminate any need to send samples to an off-site laboratory. Results from the FieldLab 58 are invaluable in determining signs of contamination, abnormal wear, or lubricant conditions that can result in downtime or cause failure of high-value machinery assets. 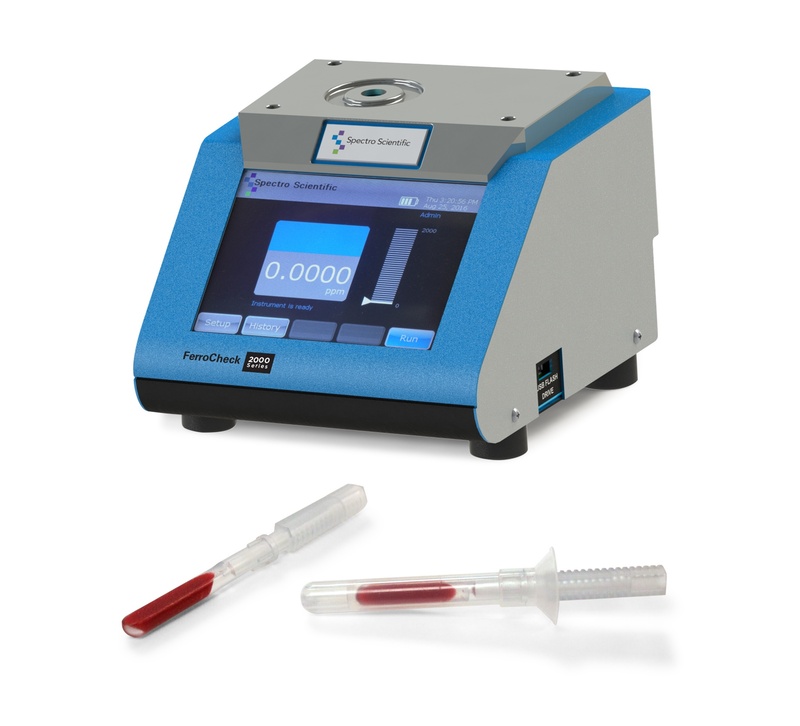 In addition to particle count and elemental analysis met by ASTM Standard D8127, the FieldLab 58 also measures fluid chemistry and contamination per ASTM Standard D7889 and viscosity per ASTM D8092. Using only 3 ml of oil, the four tests generate more than 20 fluid analysis parameters in five to seven minutes. Spectro Scientific Chief Technology Officer Dr. Patrick Henning said, “The enhanced analytical capability for elemental analysis, the new patent and the new ASTM Standard illustrate the significance of the combination of analytical technologies provided by the FieldLab 58 system, and will give our customers more confidence utilizing FieldLab as a tool to protect their valuable assets. This analyzer is another example of Spectro Scientific's leadership and knowledge in providing fluid analysis solutions to our customers." A large municipality in the northwestern United States operates over 1,700 vehicles and over 3,000 pieces of motorized equipment ranging from riding lawn mowers to bulldozers. Oil changes constitute a major expense. For example, the 500 heavy duty trucks in its fleet previously had their oil changed every 2,500 miles at a cost of around $400 per change. Assuming that each truck is driven 40,000 miles per year, total oil changes on these vehicles alone cost over $3 million per year. By using oil analysis to track oil condition, the City now performs oil changes only when necessary and has reduced their total oil change costs for these vehicles to below $1 million per year. Substantial savings have also been achieved on other types of vehicles and equipment. Furthermore, the City has achieved considerable but immeasurable savings by identifying serious problems in oil analysis and fixing them before they cause a catastrophic failure. The 37 service technicians employed by the City are responsible for maintaining the vehicles and equipment used by the City to patrol its streets, fight fires, maintain streets, bridges and other public property, provide fresh water and other general functions. The City recognized the value of oil analysis years ago as a way to maintain the equipment critical to their city operation. About five years ago, the City contracted with a testing laboratory for oil analysis and received the test results in about six days. At its peak, the City sent 4,500 samples per year for analysis at a cost of $6 per sample. The City achieved considerable savings by increasing oil change intervals on larger equipment but the lag time between when the samples were collected and when the results were received limited the value of using an outside lab. Switching from mileage based to condition-based oil change intervals required that vehicles be brought into the shop twice – once to draw the sample and a second time to change the oil, if necessary – so oil analysis could only be justified for vehicles with large oil reservoirs. The cost of the analysis was another limiting factor to expanding the sampling program. The fact that the lab did not provide a historical record of the results for each vehicle also made it difficult to identify problems such as when the metals content in a transmission oil suddenly rose above its normal range. The City’s Operations Manager had experience in the military using oil analyzers. He felt the City could benefit from owning and operating its own analyzers so any required maintenance or repairs could be performed immediately after analysis. The Operations Manager also believed in-house oil analysis would reduce analysis costs, making it possible to test more vehicles and equipment to achieve greater oil change savings. After researching the leading oil analyzers on the market, the City selected the MicroLab® lubricant analysis system from Spectro Scientific because of the instrument’s ease of use. All the user has to do is insert a sample, input some basic information about the oil and equipment and the instrument performs up to four different types of analyses. 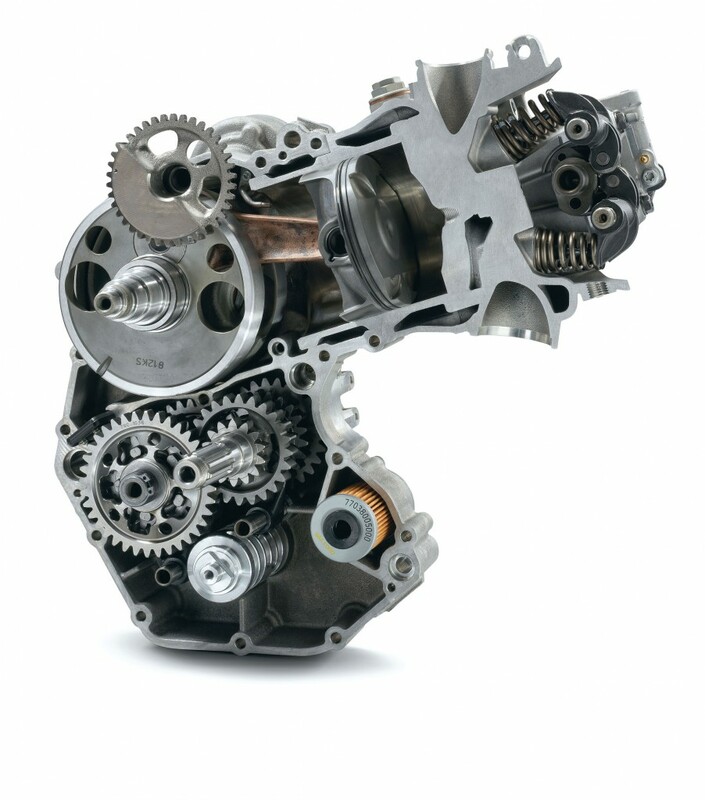 These analyses provide a complete picture of the oil and powertrain condition. In less than 10 minutes, the instrument provides complete test results with color coded alarms and maintenance recommendations. The City also purchased the optional LubeTrak® data management system from Spectro which organizes test data for easy viewing of history and trends across the entire fleet. Oil analysis is now performed on every engine or transmission with five quarts or more of oil during a preventive maintenance inspection. The cost of performing each analysis has been reduced to $1.78 making it economical to test even the smaller vehicles. The number of samples they planned to run prompted the Operations Manager to purchase two MicroLab analyzers to prevent any wait time for the technicians. The service technicians were trained how to use the results and maintenance recommendations provided by the analyzer to determine if any maintenance needs to be performed and when the vehicle should next be tested. If the analysis shows the oil and the powertrain are in good condition, then the vehicle is sent back into service without any maintenance required, saving the cost and time of performing unnecessary labor. On the other hand, if the oil analysis shows there is a problem with the oil or the powertrain, the work is performed immediately. This avoids the need to recall the vehicle a second time. With in-house analysis they no longer have to wait six days for results from an outside lab, which eliminates the possibility of the powertrain incurring further damage while they wait. Service technicians have been trained to use historical test results as part of their maintenance practices to determine when the equipment needs to be tested again. The oil analysis trends, such as a decrease in additives or an increase in wear metals, help the technician estimate when the oil will need to be changed. In the past, it did not make sense to test the oil in police cars because each test required that the officer bring the car into the shop and then back again later if maintenance was needed. This process took about two hours of his or her time. After implementing on-site testing, the oil change interval on the City’s fleet of 800 police cars has been extended from a uniform 2,500 miles to 8,000 miles on average. Oil analysis also saves money by identifying a problem before there is a catastrophic failure. For example, oil testing on a Chevy Impala police vehicle showed water in the oil with a volume that could not be detected visually. Technicians performed a pressure test on the intake manifold and found it was leaking. Repairing the manifold early helped avoid a much bigger repair bill and possibly avoided the replacement of the engine. Oil testing on another three-year-old police vehicle showed large amounts of metal particles in the oil. The Fleet Management Department got in touch with the manufacturer who replaced the engine at no charge. If the problems had not been detected, the engine may have failed catastrophically after the warranty expired. The experience of this Northwestern City demonstrates that oil analysis can generate a fast return on investment for a municipality or other organization with a large fleet of vehicles and equipment. By accurately determining the condition both of the oil and the equipment, oil analysis can generate substantial savings by reducing the number of oil changes required. This makes it possible to fix mechanical problems before they result in catastrophic failure. This application also highlights the advantages of in-house analysis whose low cost and convenience makes it possible to evaluate more vehicles and allows technicians to take immediate maintenance action rather than having to bring the equipment in again days later. Ferrous alloys make up the bulk of most lubricating machine surfaces. The physical strength and wear properties of cast iron and steel alloys make these good choices for a machine wear surface. The hydrodynamically lubricated surfaces are designed to wear and exfoliate wear particles into the lubricant at a slow and modest rate. These fine particles are generated by abrasion between the surfaces and lubricant forming a constant regenerating layer at the wear surface extremity. These particles are fine ferrous wear particles and they can be used to indicate when the oil is dirty and needs to be changed or when the forces at the wear surface cause breakdown of the normal lubricating layers and larger more severe ferrous wear particles are produced. The latter scenario sees a breakdown in the normal abrasive wear mechanism at the lubricating surface and a switch over to a more severe adhesive abnormal wear mode. Once the wear surface has been compromised and large adhesive forces take over, which remove larger particles, this can quickly lead to catastrophic failure of the machine if not addressed. Ferrous devices can be broadly broken down into total ferrous monitors and ferrous particle monitors. The total ferrous monitors will tell the analyst the total ferrous content in the oil and also give an idea of any transitions into a more severe wear regime. Spotting the transition from normal wear to severe or abnormal wear depends on the accuracy of the device. Periodic sampling of a closed loop lubricating system will always see a steady increase in fine total ferrous material until the oil is changed. 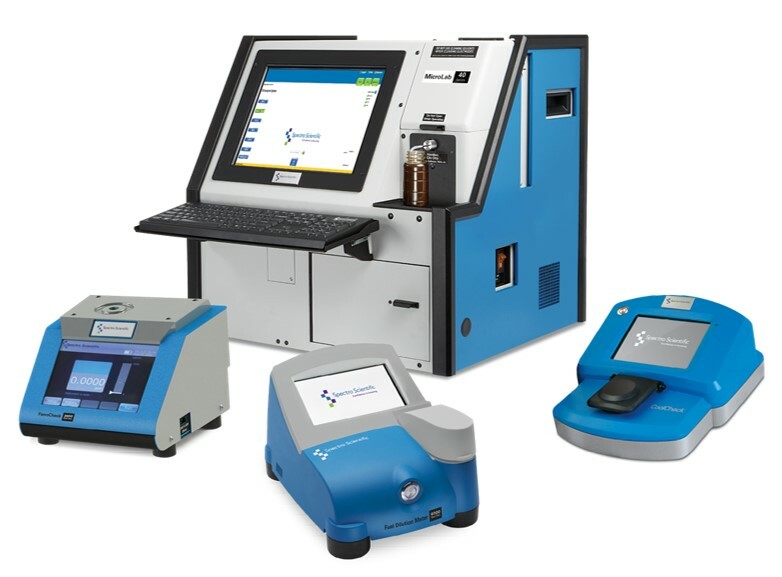 These devices act as good screening tools for additional testing in both labs and end user environments because the measurement is quick and easy to perform. The particulate that makes up a typical total ferrous reading is everything ferrous in the oil that has worn off the machine. These particles are very fine in nature based on the inherent friction-reducing tribology created at the wear surface. As these particles continue to make their way through the lube system they become smaller and more ground up between the machine's wear surfaces. Based on their size there are very few loss mechanisms during a cycle, and the total ppm concentration will rise steadily. Total ferrous monitors use the change of inductance to quantify the total ferrous content when an unknown sample containing ferrous material is passed through a coil of wire. This is typically done by dropping a vial containing a few milliliters of oil into the coil. These devices typically report either in ppm or a non-dimensional index to allow assets to be trended for ferrous content. Careful consideration of the drive electronics and signal processing, together with temperature compensation, can result in detection limits at single digit ppm. These techniques, specifically the drive and gain amplifier electronics, can be used to expand the output beyond the 1000 ppm range into the % range. This is typically useful for grease application samples, which are suited to this type of measurement. A recent innovation in ferrous particle monitoring is the flow magnetometer, which uses a similar inductance as total ferrous magnetometers but detects the signals from individual particles as they flow through the coil. The amplifier electronics, coil winding and wire gauges are adjusted to be able to detect particles in the flow down as small as 20 mm. In this type of device the flow of oil also needs to be calculated in order to normalize the counts per unit volume so they can be consistently trended and compared against total particle counts that report the same units. Other devices with less sensitivity like the GasTOPS MetalScan provide excellent particle detection for very large ferrous particles >170mm . The signals provided at this level also provide information to separate out ferrous from non-ferrous debris by looking at the phase difference in the signal.